The first Beaumaris Lifeboat Station was established by the Royal National Lifeboat Institution in 1891. 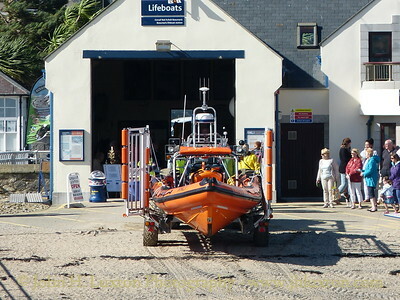 For first 20 years the lifeboat was kept a float at a mooring near the pier. The first station with slipway was built in 1911 at Tre-Castell Point. 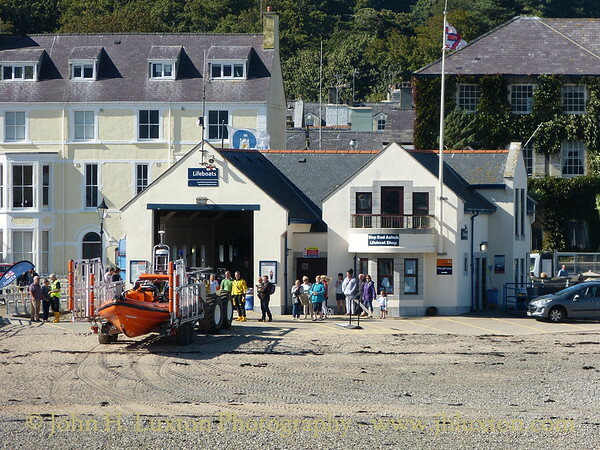 In 1967 the Beaumaris inshore lifeboat station was established, with a boathouse near the Promenade. An appeal on the BBC children’s television programme Blue Peter raised funds for the new D Class lifeboat. Another Blue Peter appeal funded a new B Class Atlantic 21 lifeboat in 1976. 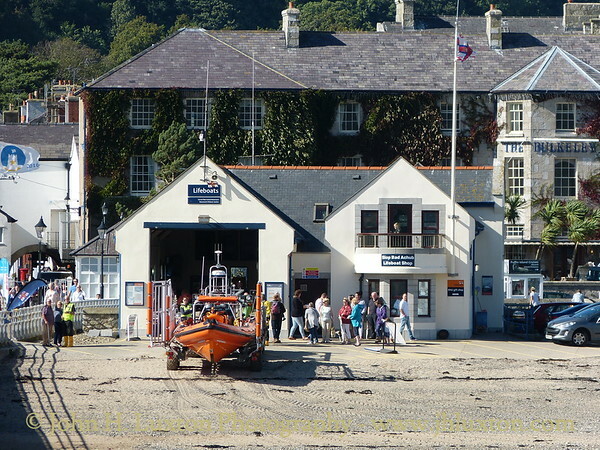 The present boathouse was opened in May 2000, equipped with a new B Class Atlantic 75 lifeboat named BLUE PETER II, again funded by the programme’s viewers. 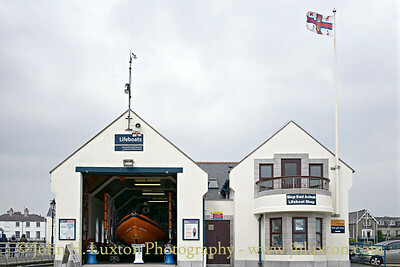 The current boat is an Atlantic 85, ANNETTE MARY LIDDINGTON the RNLI’s most advanced inshore boat ever. It is capable of 35 knots. The station is one of the busiest in Wales, with 74 rescues in 2009, 83 in 2010 and 75 in 2011. 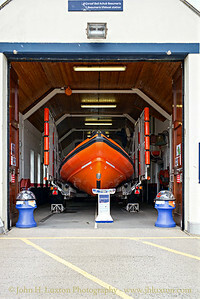 RNLB ANNETTE MARY LIDDINGTON at RNLI Beaumaris Lifeboat Station. 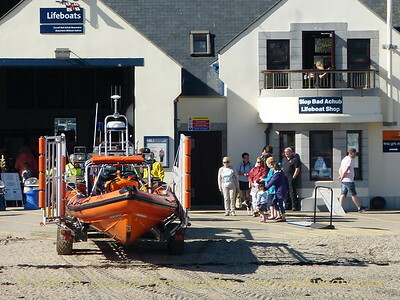 Atlantic 85 lifeboat RNLB ANNETTE MARY LIDDINGTON viewed on her launch carriage from MV BALMORAL. Previous lifeboats at Beaumaris have been funded by appeals by the BBC TV's Blue Peter programme.